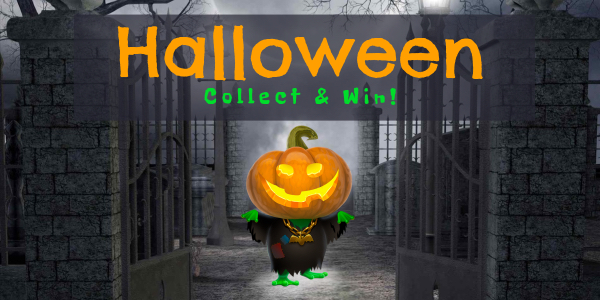 Collect any 5 spooky gifts from the "Halloween Collect & Win" category and win a 1 Week Orange Color Nick! Plus, win additional weeks of Orange by collecting additional sets of 5 unique gifts from the eligible category. Gifts collected must be unique across all sets (no repeats), meaning members can earn up to 5 weeks of an Orange nick by collecting any 25 unique gifts out of the possible 26 in the "Halloween Collect & Win" category between 12pm ET Thursday, October 25, 2018 and 12pm ET Wednesday, October 31, 2018. Dress your nick up and celebrate Halloween in style. Collect your spooky gifts today! Hurry, Pals! Take advantage of this special offer and get in the Halloween spirit now. Plus, enjoy new Sticker Packs and Gifts available in the Virtual Gift Store.